Interested in a career in Dental Hygiene? The deadline to apply for KCC’s Dental Hygiene Program beginning this fall is Friday, April 1. Click here for more info! Second-year Kellogg Community College Dental Hygiene student Lauren Rubley, president of KCC’s Class of 2016 Student American Dental Hygienists’ Association (SADHA), posted the above photo on Facebook last month highlighting an awesome “eggs-periment” she conducted in preparation for an oral health presentation to a class of 5-year-olds. Rubley soaked the egg on the left in water and the egg on the right in cola for two hours. 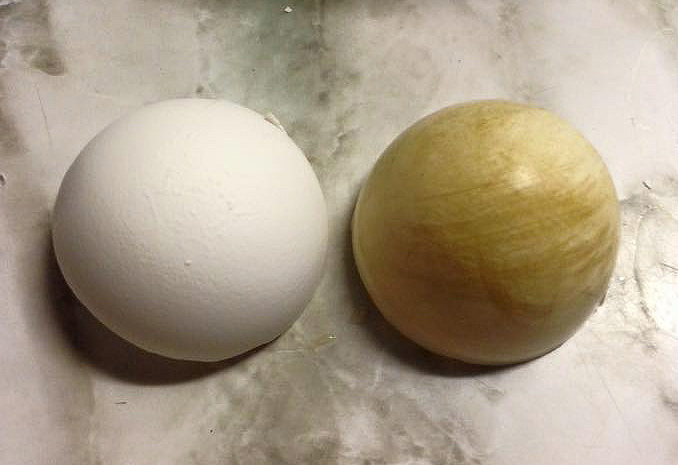 The lines on the egg on the right are from Rubley wiping the egg with a cloth to dry it off — and the cloth took part of the shell’s surface with it. From Rubley: “Think about that every time you’re sipping on a cola throughout the day.” Yikes! Thanks to Lauren for sharing her story and photo!